Sold as a kit with 2 levels and Level Bag. 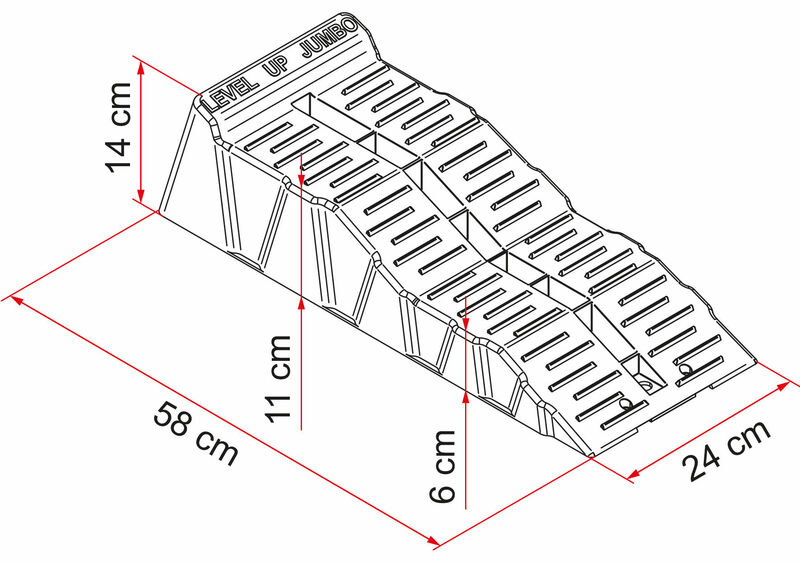 Fiamma Kit Level Up Jumbo has wider ramps and 2 larger step platforms for better support and easier driving on for larger vehicles with bigger tyres. 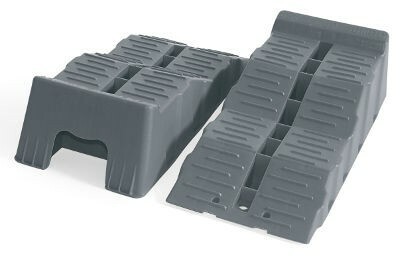 Non-skid finish with solid construction in rot proof UV-resistant polyethylene. 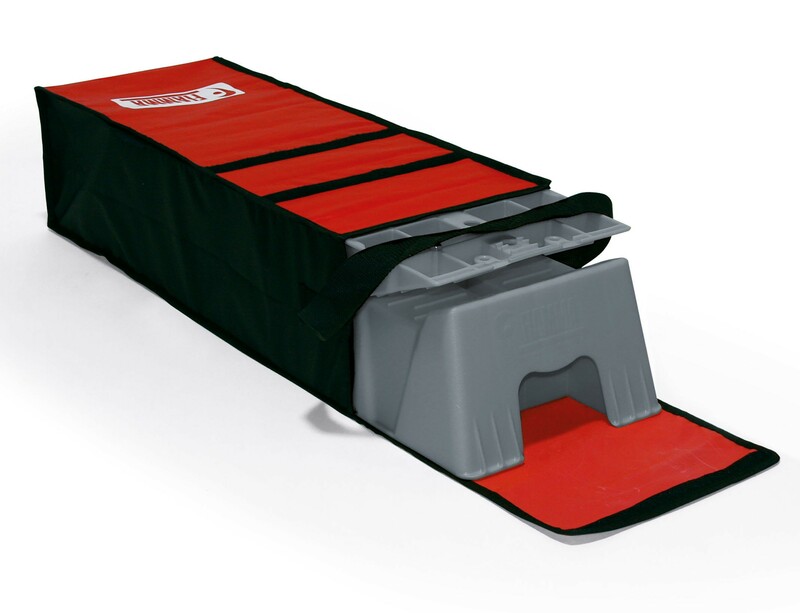 The Fiamma Level Up Jumbo can be used with optional Anti-Slip plate to prevent level skidding away on paved surfaces. Max axle weight: 8 tons. Dimensions cm: 58 (L) x 24 (W) x 14 (H).